SCOR is an independent global reinsurance company, aiming to develop its Life and P&C business lines, to provide its clients with value-added solutions and to pursue an underwriting policy based on profitability, through effective risk management and a cautious investment policy. In this way, SCOR offers its clients an optimal level of security (AA- rating from S&P and Fitch and Aa3 rating from Moody’s) and creates value for its shareholders. The Group’s strategy is based on a development model driven by three entities: the P&C entity, the Life entity and the Asset Management division. 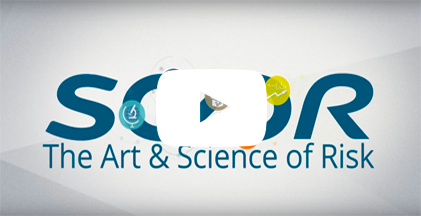 SCOR has a longstanding tradition of corporate citizenship, aligning its global commitment with its business activities, its corporate values and its tagline, “The Art & Science of Risk”.